Fowey: Entrance to the harbour. 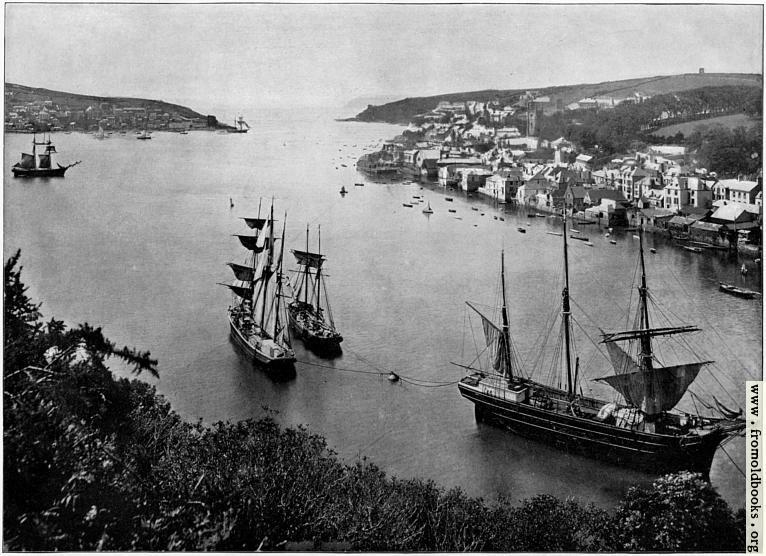 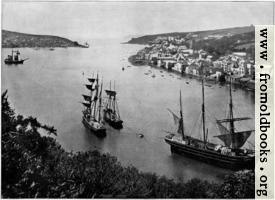 The photograph shows four sailing ships with sails visible, and a number of smaller boats, as well as the house and buildings of Fowey. Nearby Lostwithiel is best known for Restormel Castle. From a Photo by Frith & Co.